Jonas Nordlander (on the left) and Filip Engelbert (on the right). "We're selling about a third of our shares", co-founder Jonas Nordlander says to Breakit. The founders will continue their work with the company but the IPO will be put on hold. Earlier Friday morning the news broke that Swedish investment company Kinnevik sold all their shares in the Russian classifieds company Avito. They held 31 percent of the company shares. The buyer is another one of the company’s major owners, South African media giant Naspers. At the same time Naspers is making another Avito-deal. Breakit can now reveal that the founders Jonas Nordlander and Filip Engelbert are selling shares in the company for $170 million to Naspers. “We are selling about a third of our shares”, Jonas Nordlander confirms when Breakit reaches him at his Moscow office. However, the owners point out that their operative engagement in the company will remain unchanged. Jonas Nordlander is the CEO of the company’s Russian branch and Filip Engelbert is CEO of the entire corporation. “We’re going to use some of the money to exercise stock options in Avito. This means that in the end we reduce our ownership from 16 percent to 10 percent. We’re still going to be the biggest private owner in the company”, Jonas Nordlander says. When Breakit did an interview with Filip Engelbert last spring he hinted about an IPO in 2016, probably on a European stock exchange. With Naspers taking position as the biggest owner, the IPO will be put on hold. Last year the company reported a turnover of $76,5 million and the margin of profit exceeded 50 percent. But the economic crisis in Russia has still had a major effect on the share value. “If the ruble didn’t drop by half, our shares would be worth twice of what they are today. But that doesn’t really matter. We’re a ruble company and privately speaking we are doing pretty well economically regardless of that”, Jonas Nordlander says. They will use some of the money to invest in Swedish startups. The founders already own shares in Auctionet, Knc Miners and Leovegas among others. “We have to do something with the money. We’re going to keep on investing in Swedish companies with interesting ideas, but that’s not something we put a lot of effort in at this time. 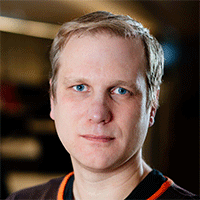 We are totally focused on Avito”, Jonas Nordlander says. Naspers already owns a large number of classifieds sites all over the world. Jonas Nordlander points out that he is very happy with Naspers being the buyer of his own, Filip Engelbert's, and Kinnevik's shares. “They’re a partner we know already who’s brilliant at what they do. The ownership stays within the family, so to speak, and the day-to-day operations will not be affected at all", he says.